MaxX Fusion: Finally, a VAPABLE supermini! 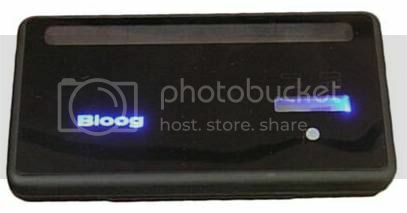 This is a review of Bloog’s MaxX Fusion Mini PCC Kit. I received the kit two weeks ago free of charge for the purpose of writing this review … and you know what I (and all reviewers in this situation) say next. In addition, you deserve to know that Bloog is an advertiser on VapingGuides.com. I will mention what I know about other variations of the MaxX Fusion, but this review focuses on the Mini PCC Kit that I received. I will be comparing the Maxxy (as I affectionately call it) primarily to Vapor4Life’s Vapor King, because: it is the best known and leading Kr8 supplier … both brands are pricier than most (other than the mass-marketed rip-offs, which these are not) … and Kr8 cartomizer guru, Leaford, influenced the design and manufacture of the most recent versions of each brand. If you are just starting out and want a good e-cig that looks and feels like a “real” cigarette – go buy the MaxX Fusion Mini PCC Kit. If you want a vapable super-mini – go buy the Mini PCC Kit. If you want the simplest, most convenient e-cig – go buy any Kr8, the best of which is the MaxX Fusion. If you want the best performing Kr8 cartomizers – buy these Maxxy cartos. If you want the large capacity (2ml+) cartomizers that are so popular these days – buy a Tank or clearomizer or something … or wait a couple weeks for the 4ml Leo cartos to become available. If you want the best performing skinny and/or automatic battery (regardless of model) – buy these Maxxy batts … and, if needed, get a $1 adapter from Good Prophets to use with your favorite atty or carto. 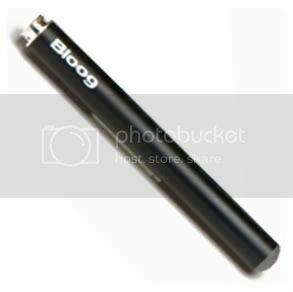 Bloog’s kit sells for $90, i.e., the same price as V4L’s Vapor King Ultimate Ultimatum Shorty Kit – roughly comparable, but with a manual USB passthrough (available from LiteCigUSA for $11) substituted for the special features of Bloog’s PCC. The “Standard” battery is 320 mAh: 40 mAh higher than any other Kr8. 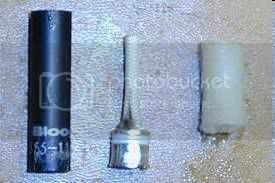 The “Mini” battery is 220 mAh: 40 mAh higher than the Vapor King “Shorty” batt. These are the highest mAh of any skinny batt of their respective length. When purchased separately from a kit, batteries cost $20 (either size): $3.50 more than Vapor King batteries. Available colors are black, white, silver, red, and blue. As mentioned above, MaxX Fusion cartomizers are a couple mm longer than most Kr8 cartos. They hold 1 ml of juice. That’s more than most Kr8 cartomizers, but less than a MEGA eGO carto or Tank. 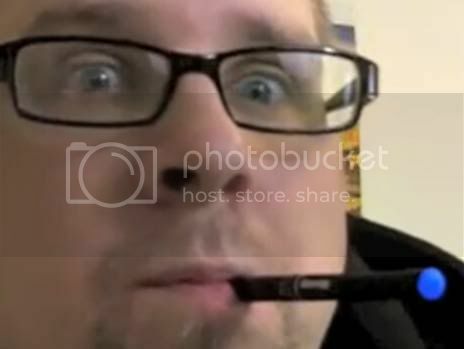 [You could squeeze 1.2 ml in there but Leaford doesn’t advise it.] br5495 took one apart and found polyfill that wraps around a long wick. However it works, the carto is less subject to burning than other Kr8 cartomizers. 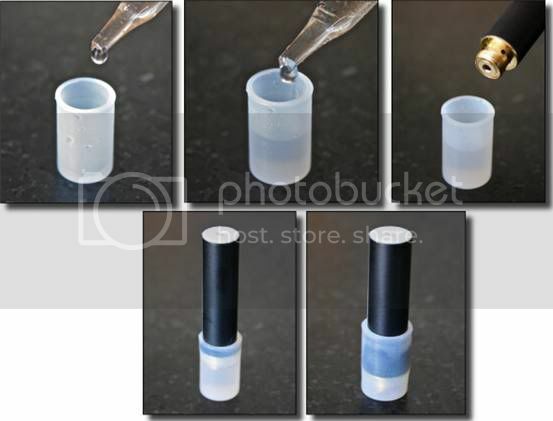 They can be filled easily by dripping into the mouthpiece end (with or without removing the large-holed pop off cap) or by using Doggsbody’s carto cap (a.k.a. condom) technique from the battery end. When I’m at my desk, I use the carto cap method: I can get more e-liquid in that way and more quickly. All MaxX Fusion cartomizers are black. The prefilled ones sell for $11 (a few cents more than V4L Wow cartos) in any of 12 flavors: Reds, Kamel, RY4, 555, Menthol, Spearmint, Vanilla, Chocolate, Coffee, Cherry, Grape, and Apple. So: fewer choices than V4L’s huge selection, but the basics are covered. Blank cartos sell for $10: $1 more than V4L Wow blanks. Maxxy cartos work – and work well – on all Kr8 automatic batteries. I don’t have a manual Kr8 skinny battery to test them on, but they work very well on my manual Elegant Easy Kr8 fat batt. The Mini PCC only accepts the shorter MaxX Fusion batts. I think even V4L’s Shorty’s would be too long to fit in the slot provided. The indicator lights work just fine … except for the e-cig battery charge level (which always shows as full). The reason the Mini PCC is so lightweight is that the casing is plastic. It seems pretty sturdy to me and I’ve had no problems (even though I carry it in my back pocket) nor have I heard of any breakages. Time will tell how its durability compares to the metal casing of the standard Kr8 PCC. To start the battery charging process, you need to press the button for about 3 seconds (until the battery charge indicator on the left side of the window starts moving back and forth). [Easy enough, but I went for a day wondering why the batteries weren’t recharging. I finally broke down and glanced through the little PCC manual. Duh! Right there in black and white. ] Do as I say; not as I did. Unlike him, however, I’m vaping this far more than 1% of the time. After a couple days of conscientious testing (e.g., trying various combinations of MaxX Fusion and other batts and cartos and attys), I’ve just been vaping this for personal enjoyment. I find myself reaching for my Maxxy just as frequently as my Leo and my ProVape-1 (with a 901 atty). Each provides a satisfying, but different, experience. Whatever the technology and resistance level that is used, MaxX Fusion cartomizers generate more vapor than any carto or atty that I’ve ever used at 3.7V (with the possible exception of an LR 306 I tried once and an extraordinary 901 atty I’ve also been vaping these past two weeks). The throat hit is solid (i.e., strong without being harsh). The taste is similar to Vapor King Wow and Premium cartos, i.e., without the unpleasant undertaste of most Kr8 cartomizers, but nothing to write home about. I’ve only tried two of the prefilled flavors. The Reds do taste very much like what I remember an analog cigarette tasted like – that’s great for a new vaper, but not so great for me. [I did try to smoke an analog cigarette about a year ago, but couldn’t finish it. Revolting! But in fairness to these Reds cartos, the flavor is not nearly as offensive as I found that analog experiment to be.] The RY4 tastes somewhat like RY4 e-liquid, but not nearly as good as the US-made RY4 I’ve been vaping these days. What I find so staggeringly impressive is the size. My Leo and ProVape-1 (examples of high quality fat batts and mods, respectively) shown above are big. The Maxxy is so tiny. It’s particularly convenient when driving: no dripping required and hands-free operation. And it is a fun change of pace for me. So what is the price to pay for this great performance in a small package? The selling price, of course. But I am not as put off by this as GrimmGreen. I view the MaxX Fusion Mini PCC Kit as the Lexus of Kr8’s and of superminis. You get what you pay for (assuming that you avoid ripoffs, which this certainly is not). Not everyone (e.g., not I) can afford a Lexus … but if you can, go for it! The mAh obviously. But with that PCC (or any Kr8 PCC), you can vape just as long without fixed position recharge as with a high-mAh fat batt or mod. The taste is about tie with V4L’s Premium and WOW cartomizers, i.e., not bad. But, for me, it doesn’t compare to the Leo, 801, or 901 atomizers. 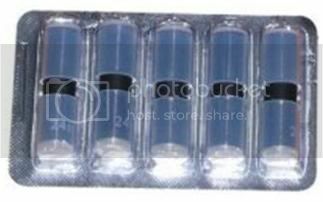 On my very tight budget, will I order more Maxxy cartomizers when my current stock is depleted? I might. If I were in love with cartomizers (which I am not particularly), I definitely would keep ordering these – blank, for filling with my favorite e-liquids. Maxxy cartos are definitely worth the few extra cents. 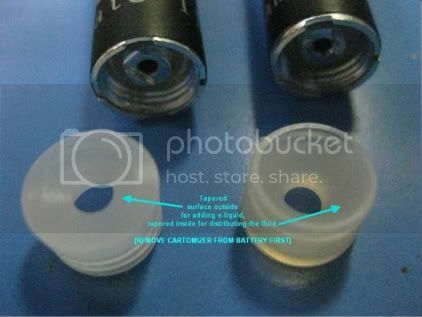 Will I replace the batteries whenever they die. Probably not. Vaping a good supermini is fun, but I am primarily a fat batt/mod man. I’d rather spend that twenty bucks on two Leo attys. But, if you are a confirmed mini or supermini vaper, these are excellent skinny batts and may be worth the price. Would I have purchased the Mini PCC? No. Although certainly lighter weight and fancier than the standard Kr8 PCC, this is more of an indulgence for me. On my limited budget, I’d probably use the Maxxy cartos on my 750 mAh Elegant Easy (a combination that vapes great by the way), avoiding the necessity of $20 batteries or any type of PCC. If money is tight – but you like what I (and others) have had to say about the Maxxy cartomizers – consider a less expensive Kr8 kit, e.g., from LiteCigUSA or CigEasy. [If you want it to be supermini sized, get Vapor4Life’s Vapor King Shorty Value Kit.] Then order your MaxX Fusion cartomizers from Bloog. And use our VGDTEN coupon code to get 10% off. 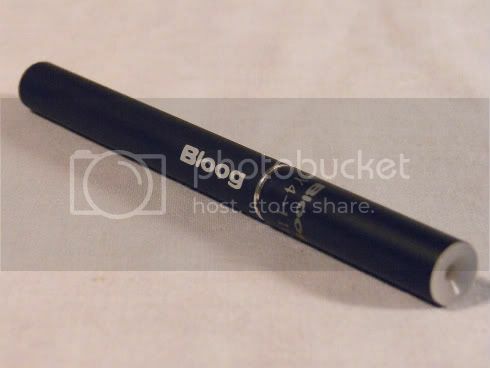 This is the e-cig that can draw the masses into vaping! I’ve always felt that the two-piece, cartomizer-based Kr8 was the type of PV that would do it. I think that Leaford may have actualized that potential with the MaxX Fusion “Mini” (actually, a super-mini). As for the price, compare it to what are sold in the malls. [As an example, I see that, online, a two-battery Smoke51 DUO without PCC and with only two cartos sells for $150! Of course they do throw in a “Club 51 Membership Card” not included in Bloog’s $90 kit. ] 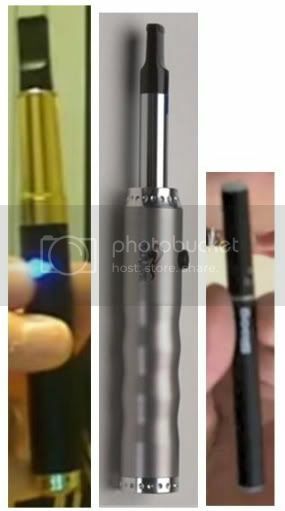 Need I comment on the relative quality of the mall e-cigs and the MaxX Fusion (or virtually any model sold by Vaping Guides or ECF suppliers)? That concludes the serious review. If what you want is a big fat batt or mod with mega mAh and mega capacity tankomizers – why did you bother plowing through this page upon page of prosaic prose? I never even sang a song. Oh wait … it’s not too late! Tip: Start humming “Oh, the shark, babe, has such teeth, dear…” Snapping fingers is optional. 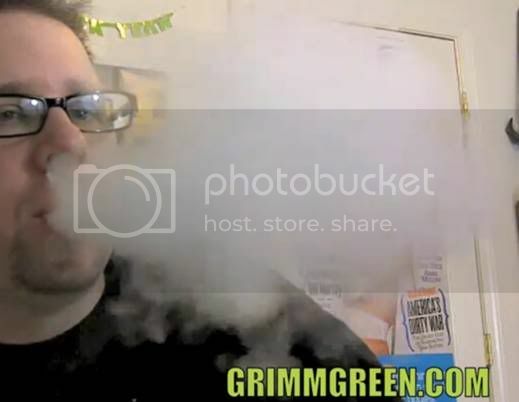 Yes that e-cig – MaxX Fusion! I got my Maxxy Starter Kit in the yesterday any my research (including your review) prooved worthy. however, a small contact pin in the PCC fell out today !! i was upset till i finallly got a hold of Bloog , they sent me out a new one and allowed me to hang on to this one in the meantime. (i can rig it to charge batt) . Now, in addition to ordering more flavors, im looking for a good juice for these cartos. Bloog could not recommend just that it should be as close to 100% P.G. Im a Parliament Light smoker (quitting w help of Bloog) really looking for that analog taste. Although the “555”s have a good, addicting, taste, to me its not the same, Any reccomendations? My final question then Ill leave you alone is are the Fusion cartos compatable with the Maxxy? as im interested in blanks only in stock for older model. Thanks for all your help! According to the Bloog website, “MaxX Fusion batteries are compatible with Fusion products.” However, I don’t necessarily recommend these pre-Leaford cartos. Although I’ve never tried them, I doubt very much whether they are anywhere as good as the MaxX Fusion. As for juice, you’ve got some exploration ahead of you. Each vaper’s taste buds are different. Starting with liquid named “Parliament” (all made in China) makes sense, but don’t expect it to taste just like those analogs. Vapor4Life (“Premium 30 ml Nobacco Juice”), Cignot*, and myFreedomSmokes all sell such flavor. * Mix equal quantities of Cignot’s 26mg PG with 0mg VG to get 13mg. Adjust quantities to get other nicotine levels. But don’t stop there. 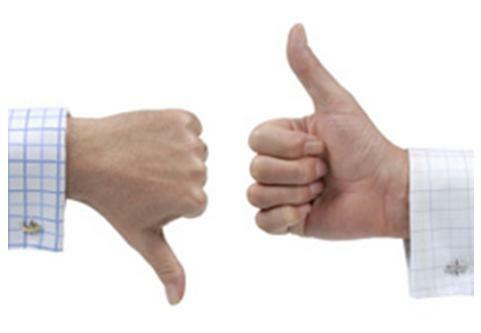 Most of us vapers prefer US- (or UK)-made e-liquid … and there are so many juice makers and suppliers out there. Some of them are mentioned here. Two of my personal favorites are Backwoods Brew (especially Hunters Blend) and Halo (I prefer the Torque 56; you might prefer the Freedom Juice). Thanks, Brad! If you’ve got 90 bucks handy and want a super-mini (or just a great cartomizer-based e-cig), it definitely is the product you’ve been looking for. During most of my two years of vaping, I’ve primarily been into fat batts or mods, but I vape my Maxxy just about as often as my ProVape-1 and Leo. And, for a “noob”, it’s an obvious choice (again, if you’ve got the gelt).